‘Do you want a luxury manicure after all those work outs?’ Erm yes please…. And what great timing is was – the day before I went on holiday, I needed to be pampered after all that stressful packing. So off I went to The House of Rush for a holiday look which would make my holiday companions green with envy. 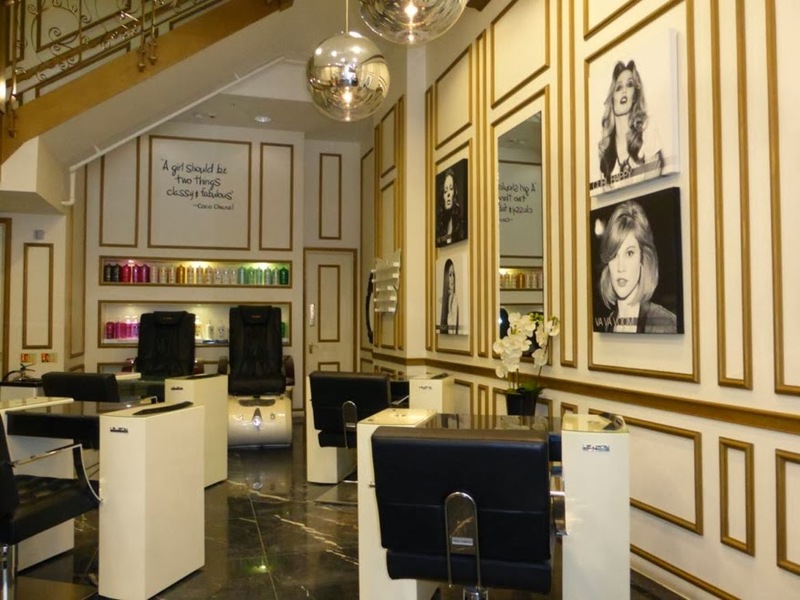 The salon, situated in Piccadilly, is not only for those wanting beautiful nails but gorgeous locks too. Located on the second floor, magical things happen – I saw people walk in with ordinary hair and leave looking like movie stars (I kid you not!). Along with this and the gorgeous design of the place you can see why its been named Salon of the year…. But back to why I was there….their new flawless nail bar on the ground floor. As I was warmly welcomed I choose a bright blue (well I had to stand out in Ibiza sun) and then ….relax! I’m so used to doing my own nails (once or twice a week) that I forgot how nice it was to be looked after. For some reason my nails have been in a bit of a bad way in the last few weeks so she filed them down to a sensible size (their normally pretty long) and basically gave them a little bit of love – and for once they didn’t feel like they were on the verge of breaking off. As the blue colour started to go on I knew I’d made the right choice. I’m prone to getting nail envy and very rarely choose the right colour! This was attention grabbing enough for any clubbing holiday. And just in case you cared…my nails went down a storm….with the Ibiza boys!! Fancy being pampered in their new nail bar? Give the lovely people there a call now and book yourself in – hello pretty nails….